One of the first articles on the Roberts Space Industries website was a bio of Chris Roberts complete with a gameography. 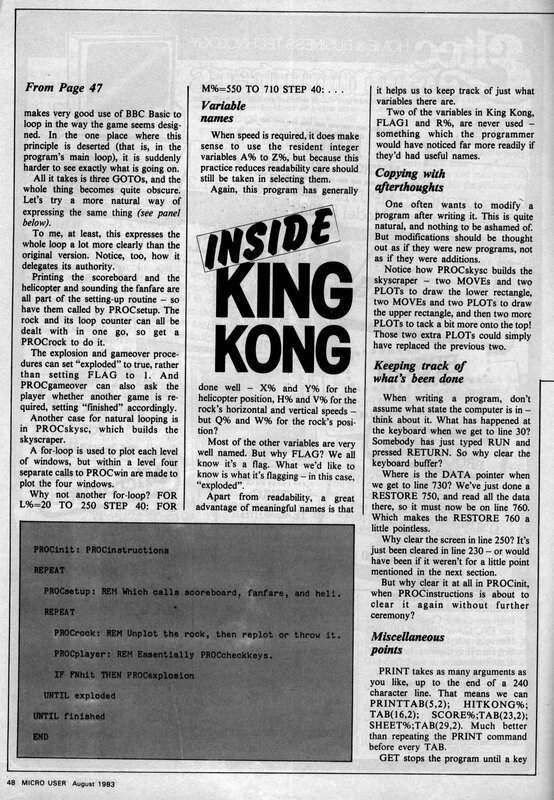 This happened to give a release year for his Popeye game which was the perfect reason to search through some old BBC computer magazines to see if I could find the thing. I came up empty handed again but I did stumble across something else to share. 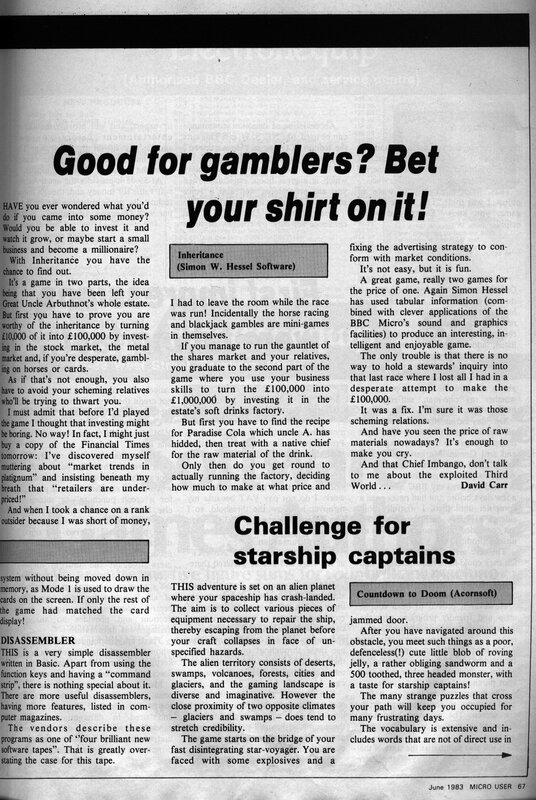 So especially for anyone curious enough about Chris Roberts’ first game to click on the RSI link, here is what I would guess is his first (and for all I know only) published game review. The scans come from Issue 4 of Micro User (courtesy of The Acorn Preservation Project) where he gives his opinion on Countdown to Doom. His age at the time (May 83) is clearly given away when describing the benefits of save games. 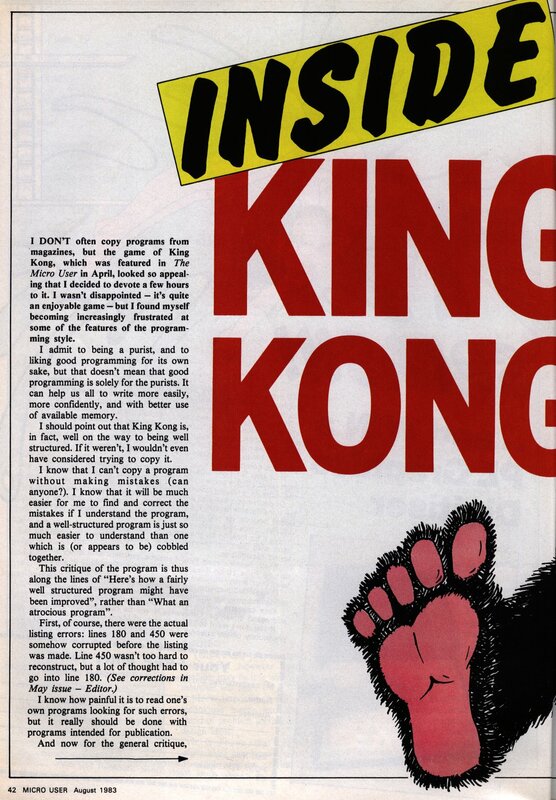 I’m speculating that this is the same Chris Roberts but this was two issues after King Kong so it has to be a safe bet. 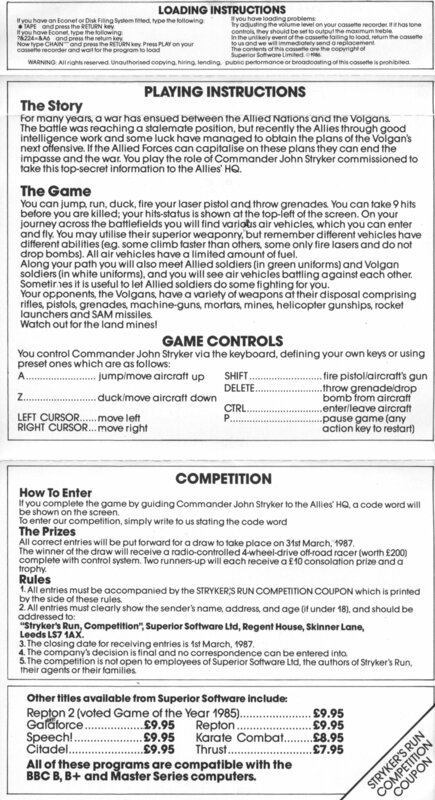 Strykers Run was published by Superior Software in 1986 and according to the scrolling text at the start of the game it took 10 months to write. 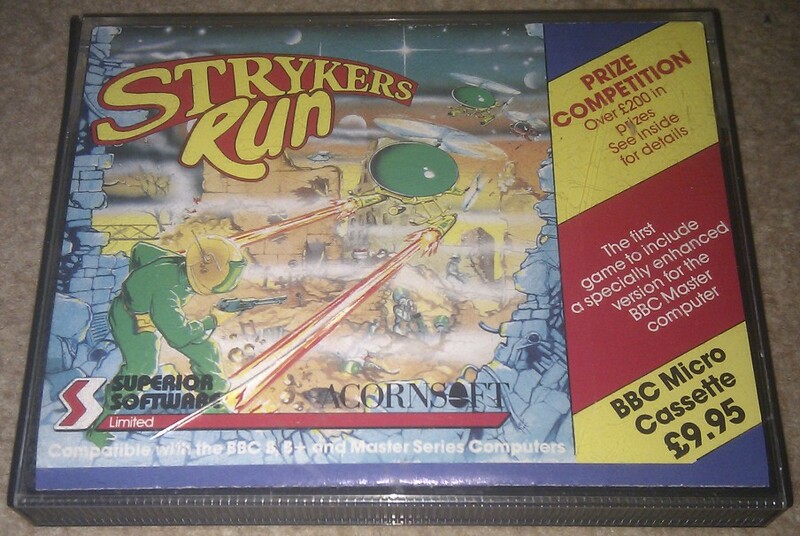 It came packaged with both a regular version for 32K machines and an enhanced version for the Master 128 and claims to be the first game to do this. A visitor to the site last week knew Roberts at the time and mentioned that he borrowed his Dad’s Master to create the enhanced version. The cassette version of the game which I’ve got has the 128K version on one side and the regular 32K on the other. I did of course pick the enhanced version given the choice. This has some excellent title music by Martin Galway, far more background graphics, a high score table and you get tanks to drive occasionally but it is basically the same gameplay other than the tanks. The game is a side scrolling shooter and the story, such as it is, has you playing Commander Stryker who must deliver his information to the enemy HQ. The gameplay is fairly basic with no platforms to jump on, ladders to climb, etc.. You simply run along trying to shoot everything and avoid being hit. The enemies consist of various soldiers, some armed with pistols, others with rocket launchers or machine guns + various flying vehicles which bomb you from above. Stryker has two weapons (a gun and grenades) both of which have infinite ammo. He can survive 9 hits but there are no lives making the game fairly tricky. It’s all too easy to get caught in a barrage of bombs and get all your hit points wiped out in seconds. It is more forgiving than Wizadore however, with the main problems here being finding gaps in the bombardments from enemy helicopters. One of the novelties in the game is the ability to drive vehicles you find along the way. These include helicopters, planes and tanks and they can speed you through the world if you can avoid being blown up by all the opposition. The fuel in these runs out in next to no time though, so it’s only a short term help. If you travel to the right for long enough and can stay alive, you finally reach the HQ and get the codeword. This was another game which offered a prize to anyone completing it and you could fill in the form on the inlay with this word and enter a prize draw. Visually this game looks great for it’s day and I can see why it would have created a stir at the time. The backgrounds are impressively varied for a 1986 game and the gameplay itself isn’t bad at all, although you would need a strong dose of nostalgia to say it stands the test of time. It isn’t a million miles away from Times Of Lore in some ways and it’s easy to see how one could have led to the other. There was a sequel to Strykers Run called Codename: Droid which came out in 1987 but as far as I know Roberts didn’t work on that one himself. This was Chris Roberts’ second game for Ocean (who owned Imagine) on the BBC. 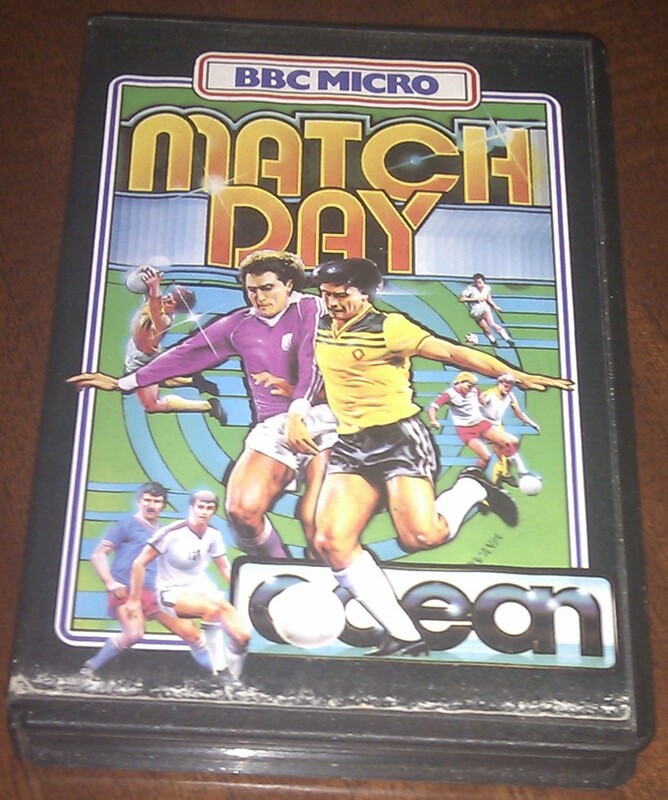 Match Day was a massive game in its day leading to Ocean wanting to get it onto as many platforms as possible. 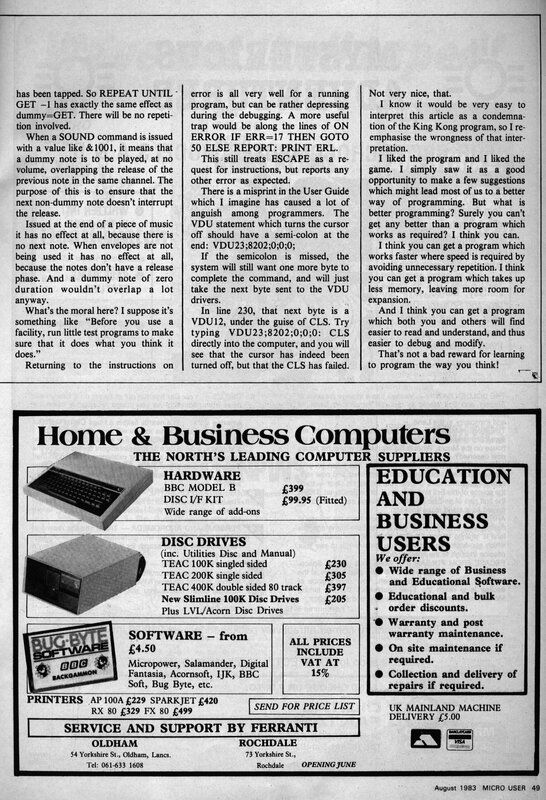 Having just brought them a bestselling game for the BBC, Roberts must have seemed like the obvious choice for the job of porting it to the system. I know Martin Galway worked on the C-64 port so he may have been an influence also. Match Day is a simple arcade football game. I’ve played it previously on the Spectrum and also seen the Amstrad CPC version so I’ve got something to compare against this time. The first thing I notice is that the BBC port has no cup competition to enter, no settings to alter the match length and not even any team names. It is literally just a one off game. It does have a two player option at least. The game starts with a jaunty rendition of the Match Of The Day theme music before kick off. This is a truly simplified version of football with less than 11 men a side and only one fire button used to kick the ball. This kick lofts the ball into the air no matter what so it isn’t possible to pass the ball in the conventional sense. If the ball bumps into another player anywhere other than at their feet it bounce soff them as though they were a brick wall. In the Spectrum version, it was possible to walk down the pitch bouncing the ball on one players head in this manner and no one could tackle you while you walked the ball into the net. That doesn’t seem to be possible here at least. Once you have the ball at your feet, it sticks there as if glued although it can be tricky to keep hold of it with the constant harassing from the other side. Scoring a goal appears to be just a case of kicking the ball between the posts with enough power to cross the line. The goalkeepers in this game are no more than a third goalpost and rarely move other than to dive out of the way of a shot aimed straight at them. Because the ball is always lofted when kicking, long shots work better than those close to the goal. This isn’t a game that has held up too well. The main thing that strikes me is how slow it is. I ended up putting the emulator onto 2x speed to get it up to the tempo it feels like it should be going at. This speed issue was far from unique to the BBC though. The Spectrum version was possibly a little faster but it was extremely ugly by comparison. As for the Amstrad CPC version, it had similar graphics but the speed was far worse than this and all but unplayable. Comparing it to those other versions, this is a decent port but there is no way I could recommend this game to anyone. It’s one of those titles that you look back at and wonder why on earth we all spent so much time on it. 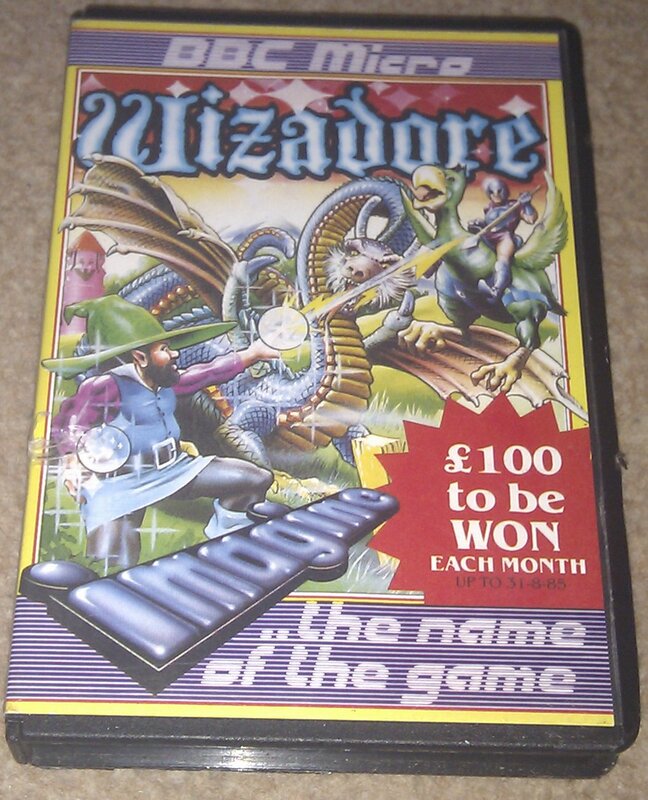 Wizadore was Chris Roberts’ first commercially sold game outside of magazines and was published by Imagine in 1985. Roberts got the publishing contract via Martin Galway, who should be a familiar name to most retrogamers. Galway went to the the same school as Roberts and although they didn’t get on at the time, they ended up working together on numerous games together afterwards. This continued for years with Galway working at times for Origin on games such as Times Of Lore and Wing Commander 3. He is probably most famous though for producing some of the best music on the Commodore 64’s SID chip. 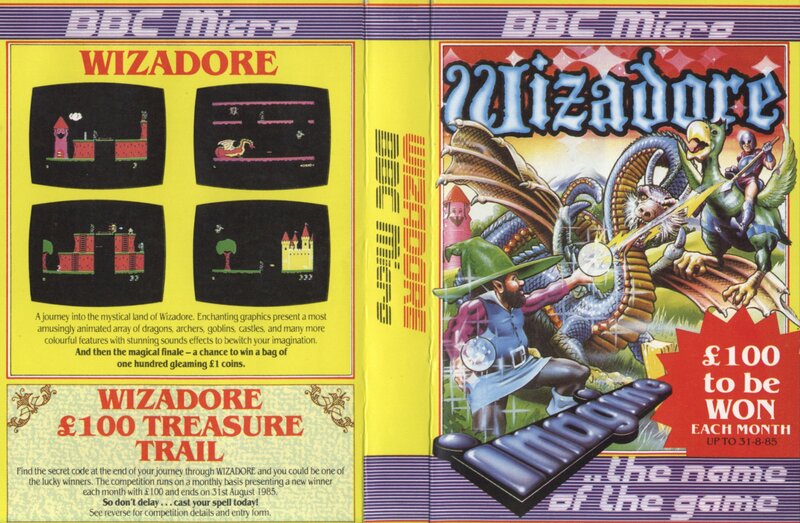 Roberts originally attempted to get Wizadore published by Ultimate (who would later became Rare) having made the game in his own time. 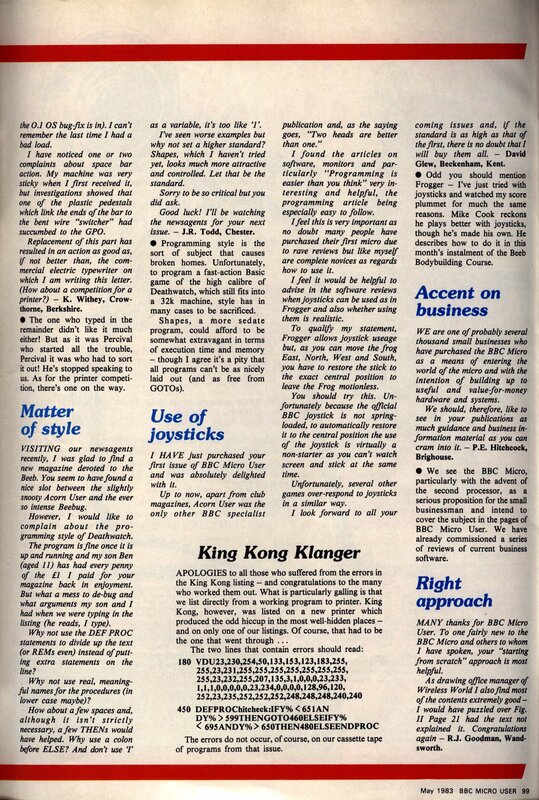 The main problem was that the BBC wasn’t seen as a games machine and was primarily used in schools, with the far cheaper Spectrum and C64 being the two major players in home gaming in the UK. At this time, Galway was working for Ocean who were trying to launch the Imagine brand. Imagine only had one half finished game and Galway managed to persuade them to publish Wizadore to expand the range. This gave Roberts his major break into the industry at the age of 16. 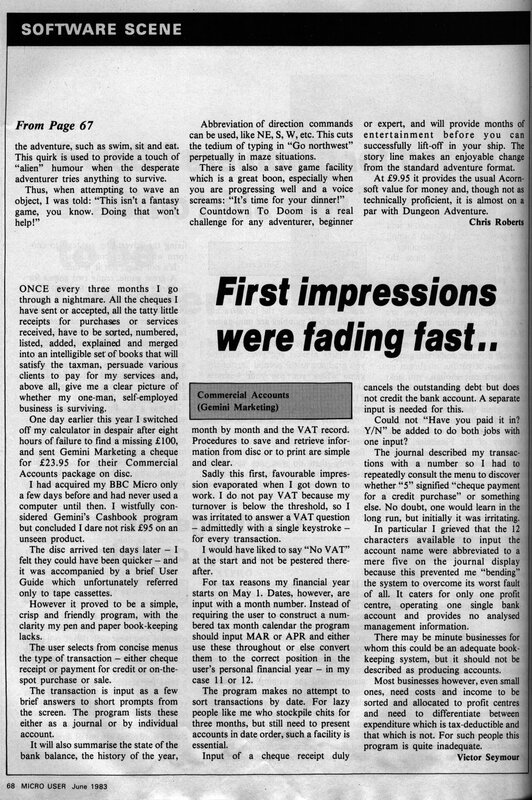 It went on to be a bestseller and led to more work writing the BBC conversion of Match Day. 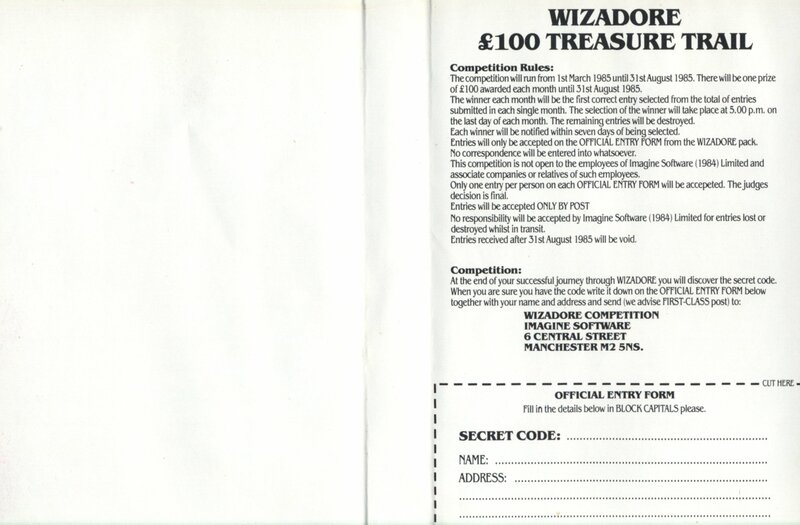 Wizadore offered entry into several monthly draws for £100 for anyone who could complete it. This wasn’t common but it was far from the first game to offer a real world prize. 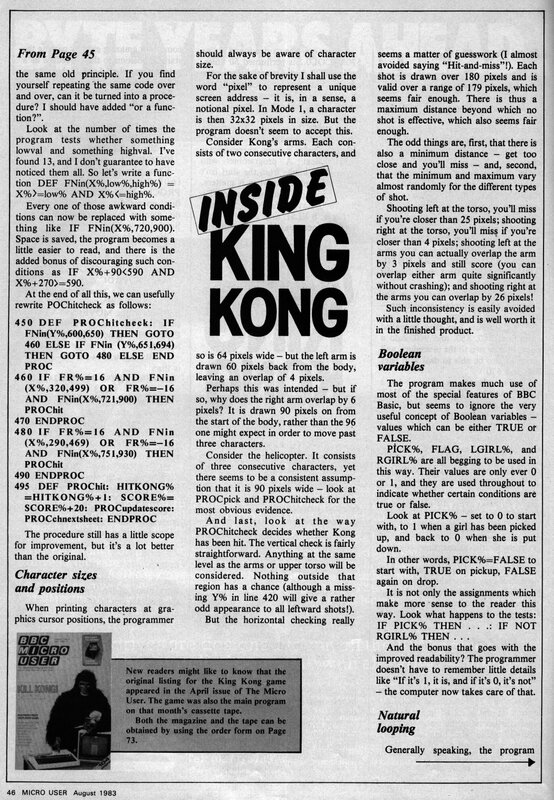 The example that springs to mind here was the game Pimania, which was originally published on the ZX81. The whole game was a series of cryptic clues, meant to give the time, date and location of somewhere to be to claim the one off prize. This was so obscure that it was years before anyone won it. I can’t imagine many people made it to the end of Wizadore without cheating either. The game itself is a simple platformer with smooth horizontally scrolling screens and a 3 item inventory. Scans of the instructions are above but the basic idea is to get the 3 parts of the sword to kill the dragon. You don’t start with any offensive weaponry but there are 3 scrolls in the game which can be picked up and used to cast offensive spells. These spells each destroy a certain type of enemy, but the archers were all invulnerable as far as I could tell. There is a little flickering with the sprites, but the game runs extremely smoothly and it’s a long way from the Kong game a couple of years earlier. Rather that the usual load of screenshots, I thought I’d do a longplay for this game and upload it to Youtube. I didn’t realise quite how difficult it was going to be when I started however. It’s fair to say that every single jump has to be pixel perfect. Even climbing ladders is difficult as the game uses the same key for up and jump. This can lead to all sorts of grief when trying to get on or off a ladder quickly. The main challenge is in jumping over arrows launched by the many archers, but if this can be mastered then the game is potentially completable with enough practice. For anyone wanting to give this a go, the first screen is a great example of just how hard this game is and getting the scroll requires a lot of practice. The other challenge is in juggling inventory and navigating around the map. The world isn’t huge but because of the limited inventory plenty of backtracking is involved to fetch objects left behind. I nearly finished the game a couple of times only to discover I’d made it unwinnable by leaving something in the wrong place. The full playthrough is below. It won’t make for the most entertaining viewing at nearly 30 minutes but it does offer an easy way to see the ending. The ending of the game isn’t much reward for all the effort, although I don’t expect many people ever saw it. It would have been nice to see the dragon fall over or something but it does at least have an ending which puts it ahead of most games of the era. I did enjoy the journey to get there, although I’m glad to have the modern option of savestates. Not having owned a BBC back in the day, I’ve little basis for judging the game but comparing it to Spectrum platformers of the time it’s not as much fun as Manic Miner and nowhere near Jet Set Willy. Having said that, neither of those games had smooth scrolling and this was a great effort for a 16 year old publishing his first game. I can easily see that I would have spent ages on it back in the day if I’d gone for a BBC instead of a Spectrum. 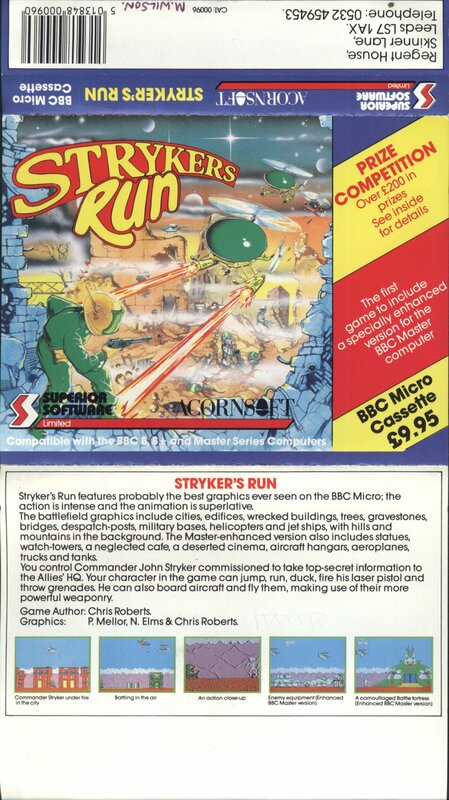 It’s a game that appears to be fondly remembered among those who played it back then but from what I’ve heard, Strykers Run is Roberts’ real classic from his pre-Origin days. Before I get to that, I’ll have a look at Match Day next which was his second published game on the BBC. Loaf got confirmation about the King Kong game being Chris Roberts’ first, straight from the horse’s (or possibly gorilla’s) mouth yesterday. I’ve got a couple of follow up articles on it from Micro User. 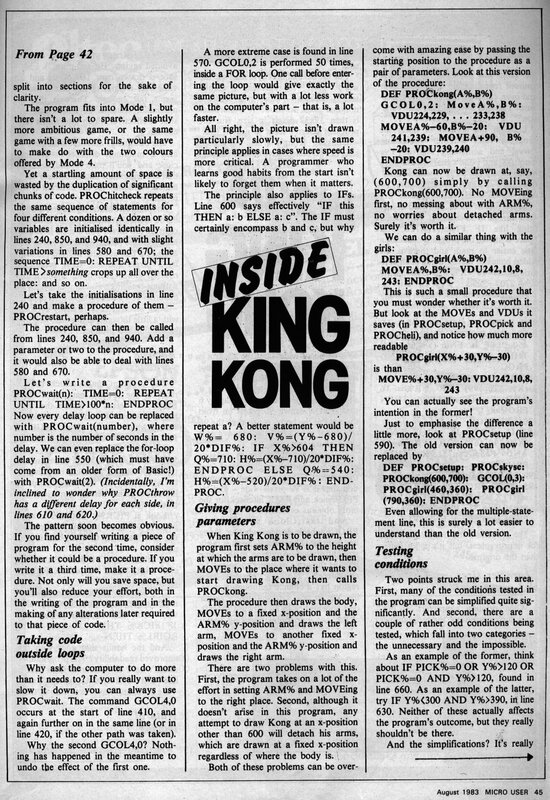 No one actually asked for it, but I’m posting the follow up article on the King Kong game also. This is from Micro User’s August 1983 edition. 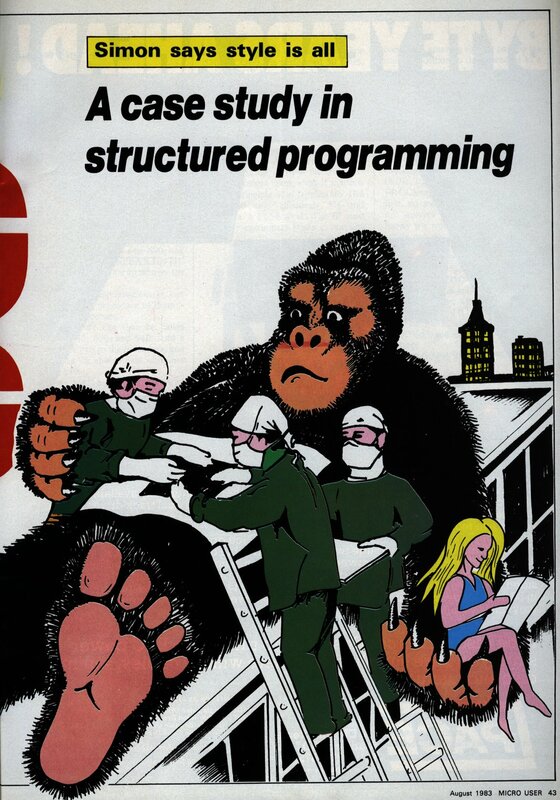 In it the code from King Kong is analysed and critiqued for all the ways it could be improved.